For selected system boards of myAVR- and myXMC product line there is an optional interface for infrared receivers and transmitters. This interface is not equipped; they can be added individually independently. In this document the pülacement is descriped. With the help of this documents it`s really simple to assemble your myAVR Board MK2. You will find in both instructions an assemply diagram. Additional, in the detailed version you find the circuit diagram and a example for equipping. In the Boardtest worksheet, you will find a list to check the functionality of the board. and myAVR Board MK2, version 2.10 (archiv_myavr-board-mk210-dokumente.zip). This documentation consists of: product description, technical description, assembly instruction, circuit diagram and worksheet to test the board. The myAVR Board MK2, version 2.0 are replaced by the version 2.1 with photo senor. 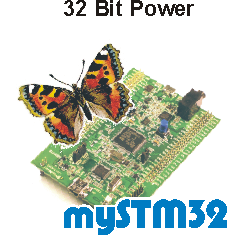 The mySmartUSB MK2 is a compact AVR910/911 USB programmer and communication interface for Atmel AVR-microcontrollers. With this programmer you can program a huge number of AVR systems or communicate with them via an UART-USB-bridge. 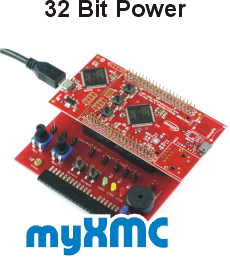 This document conveys various information about the USB-Programmer and interface to mySmartUSB MK2. It contains a summary to the construction of the board and refers to important qualities. Furthermore the pin allocation of the connection lasts described, the supported switch positions of the DIP switches and the operating modes are listed. In the detailed description you find in addition expositions for the operation with different software e.g. SiSy-AVR, myAVR Workpad, AVR Studio, AVR Dude, Code Vision. The firmware of the mySmartUSB programmer has beside the specific protocols (myMode, STK500, AVR9111/910/109) an own protocol available to address additional features of the mySmartUSB programmer. In the zip-file you can find the __README.txt how to use these special features with the command line. Also included is a _start_cmd-Sample.cmd from which an example call is shown. mySmartLab is an extension board for the mySmartUSB. It is supplied as an assembly kit. With this extension board the application range of the mySmartUSB can be extended to capturing up to six digital measured values and one analogue measured value. Switching the mySmartUSB from programmer mode to oscilloscope/logic analyzer mode (and back) is realized via software. With this extension board the application range of the mySmartUSB can be extended to capturing up to six digital measured values and one analogue measured value. Switching the mySmartUSB from programmer mode to oscilloscope / logic analyzer mode (and back) is realized via software. This document contains technical and mechanic data regarding the extension board as well as advice for exchanging the firmware.